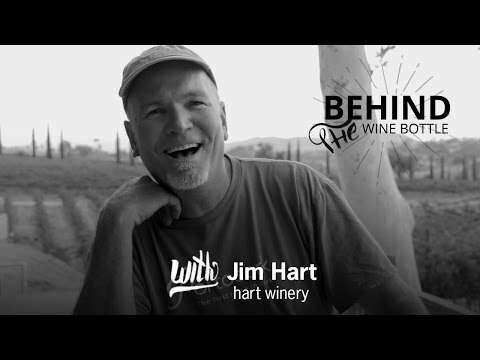 Hart Winery’s beginnings date back to 1973, when the Hart family purchased 12 acres in the Temecula Valley. The first acre was planted in l974, followed by additional plantings over the next several years and the construction of the winery building in l980, with a small initial crush that year. Today the Estate vineyards, some 8 1/2 acres, are planted to Syrah, Viognier, Roussanne, Sauvignon Blanc, and Cabernet Franc, with small amounts of Cabernet Sauvignon and Merlot. In addition to those made from our Estate grown grapes, our wines are produced from fruit purchased from some of the best vineyards in the Temecula Valley; all are meticulously handcrafted, from vineyard to crusher and through fermentation, barrel aging, and bottling, into exceptional wines that are a true expression of our superb wine growing region. Wines currently produced, all in limited quantities, include Viognier, Sauvignon Blanc, Syrah, Merlot, Cabernet Sauvignon, Cabernet Franc, Tempranillo, Sangiovese, Grenache, Zinfandel, Grenache Rose, and a southern Rhone type red blend. Additionally, and eagerly awaited each year, is a small release of our fortified dessert wine made from the rare and exotic Italian Aleatico grape from one of the few plantings of this varietal in California. Beginning with the 2008 vintage, we will add a varietal Roussanne white wine to our offerings. Annual production is around the 5,000 case level, depending on the crop yield from that year’s vintage. The public is welcome to taste Hart wines in our small, intimate, charming tasting area at the winery, daily from 9 a.m. to 5:00 p.m. The use of our small picnic area is open to our guests, but no food is currently available for sale at the winery. Amenities: Tasting area in winery; limited picnic facilities. Wine Club - call for details.